Hiring a reliable, trusted HVAC contractor who can meet your needs is a tricky, but necessary task that is beneficial to your business’ bottom line. An accountable team of experts will solve your problems and ensure that your unit is running at its best. But, how can you find an industrial HVAC contractor that will get the job done on time, on budget the first time without breaking the bank? Can I Speak with or See Recent Customer References/Reviews? As you start the search, the first step should be asking colleagues for recommendations. Inquire why they liked one contractor over another and ask what they didn’t like about the service. Another place to look for recommendations is your local Chamber of Commerce or other business organizations. Although the Chamber probably won’t pick one member over another, you can gauge their involvement in the business community and make a reasonable judgement about the character of the business. Someone who is deeply involved in the community with lots of connections is generally here to stay and more reliable, as they invest the time to cultivate and value these relationships and the referrals they get from them. Can You Show Me Copies of Your Current Licenses and Certifications? Before deciding to work with any contractor, ensure they have the proper licenses and certifications required by New Jersey. 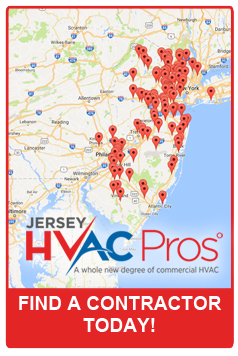 Research the commercial HVAC contractor online, visit their website, read customer testimonials and check online reviews. Customer reviews are an easy way to get a simple first impression. When you speak with a contractor ask if they are bonded and insured. Being bonded means they have a surety company that they can guarantee their projects. Insurance covers the project liability so if an accident should occur, it will be covered. When welcoming a commercial HVAC contractor to your business, you want to make sure they focus on safety as much as you do, so ask about their OSHA training and certifications. You also want to weigh your options, so try to talk with at least three professionals. A great commercial HVAC company supplies technicians with more than 9,000 hours of hands-on, in-field training and classroom learning with industry leaders. When you have narrowed down the list to your top choices, invite them to come to your business to review your industrial HVAC or commercial refrigeration system. Every system and business are different, so your professional should first inspect your heating, ventilating, and air conditioning or refrigeration in person. They will tour around the building and examine the vents and equipment, as they can’t truly understand your system over the phone. When they come to visit, make sure they can access all areas where HVAC equipment might be located, such as the rooftop or basement. Explain any issues you are having as well as asking their recommendations. Any reputable contractor will leave a written estimate for services. Ask about warranties and guarantees on their work and make sure to get those in writing. Another tip to ask about is how long the quote is good for. If you are planning a capital improvement project, you want to make sure the estimate you are receiving will be valid down the road, so you can budget accordingly. The cost of installing, maintaining and running a commercial HVAC unit is one of the biggest maintenance-related expenses businesses face, so you want to find a service that offers a favorable return on your investment. An experienced team that knows how to solve issues the first time will save you money on future repairs. Also, you will save money on your energy bill when your HVAC unit is working at its best. An effective and efficient HVAC contractor should set you up with a system that provides a return on investment, and when all else is equal, price is the easiest point of comparison. If you are ready to get started, check out our map to find a contractor with our industry-leading 5-Star Seal of Approval near you.